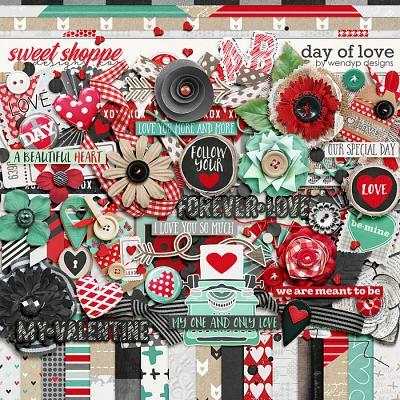 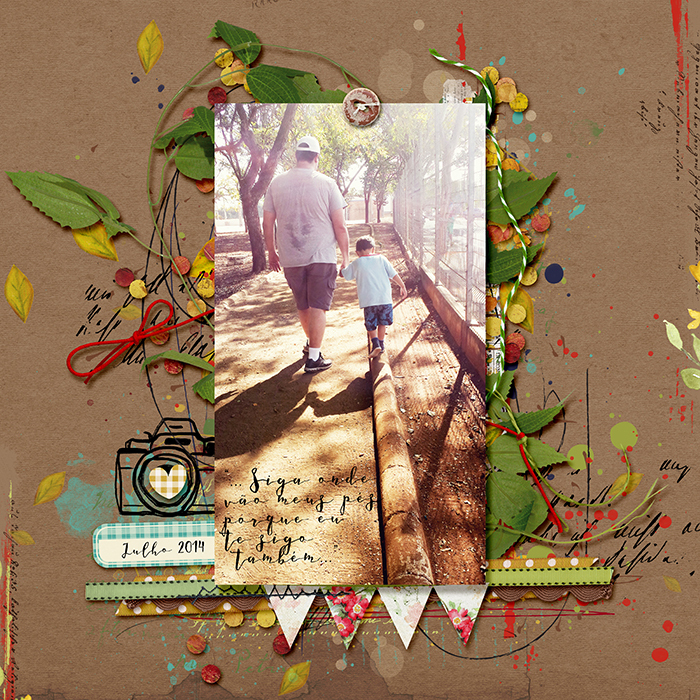 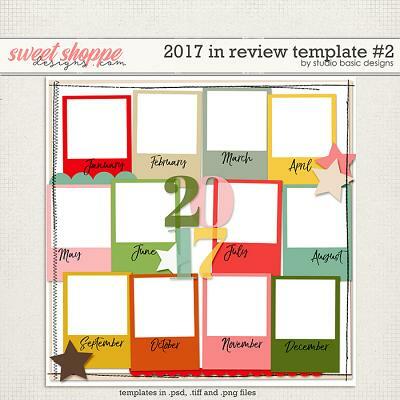 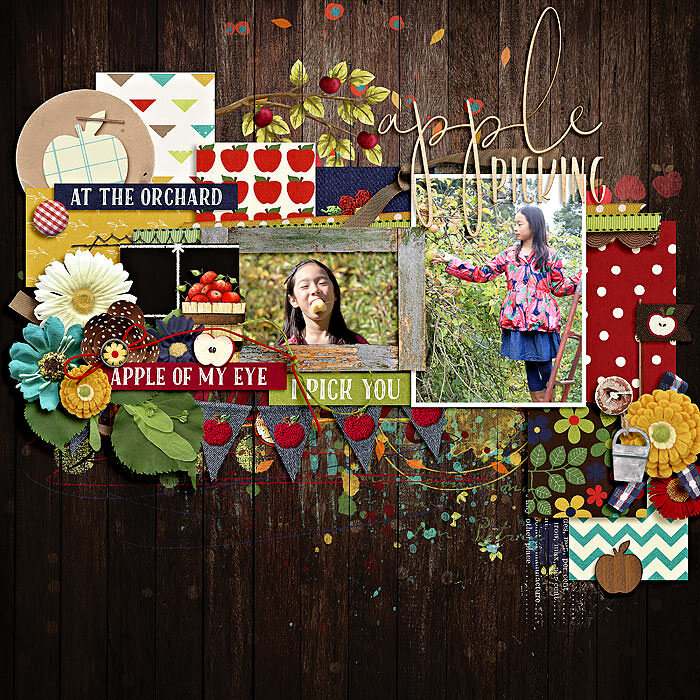 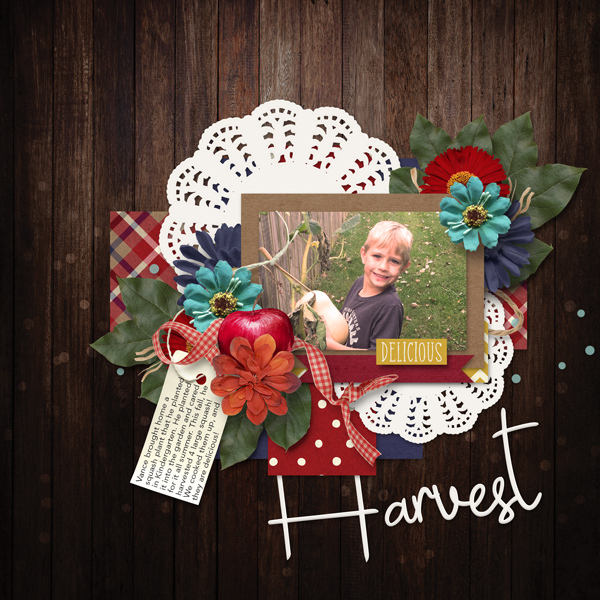 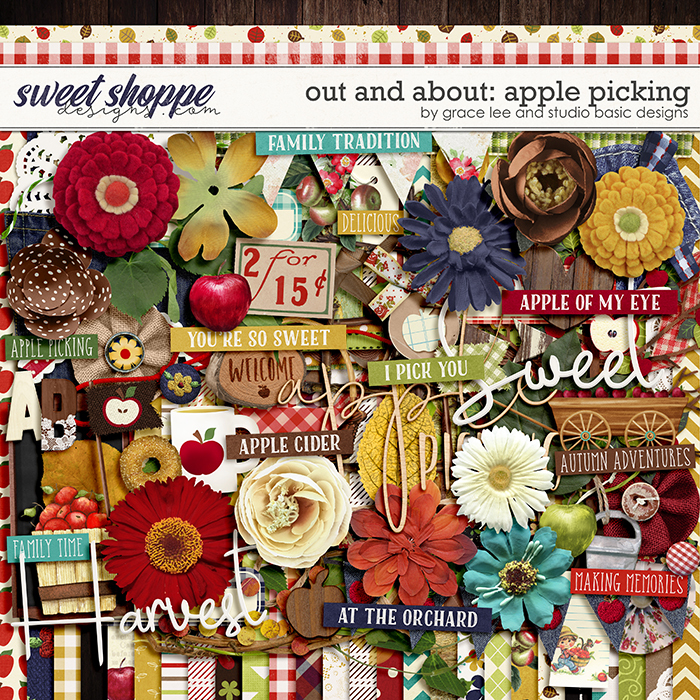 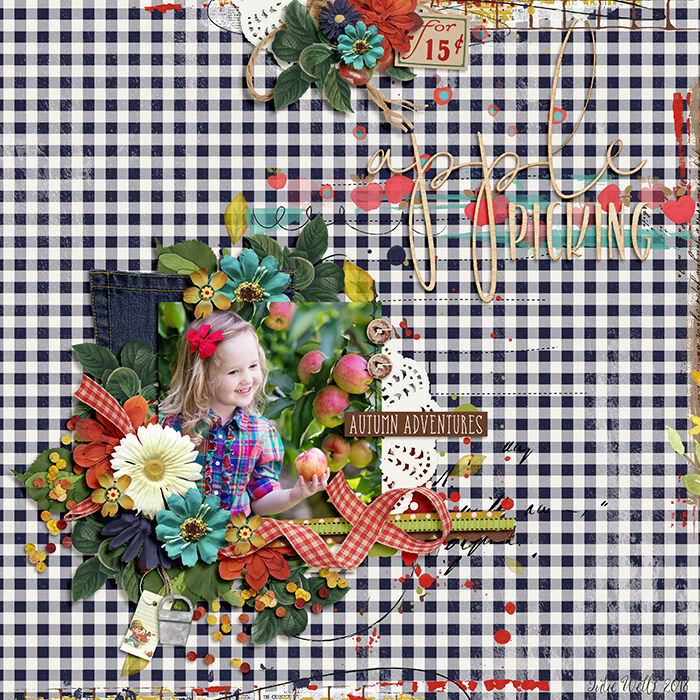 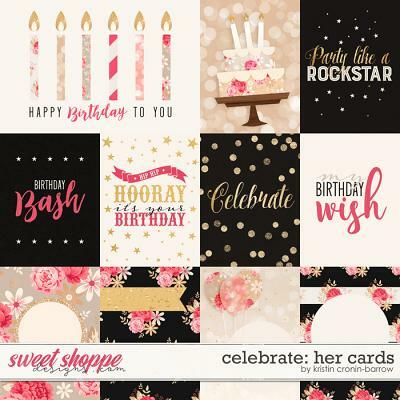 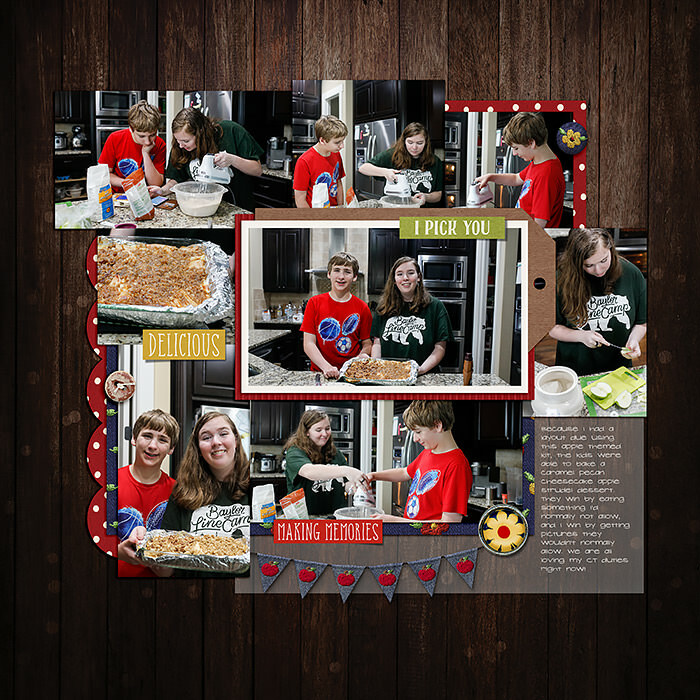 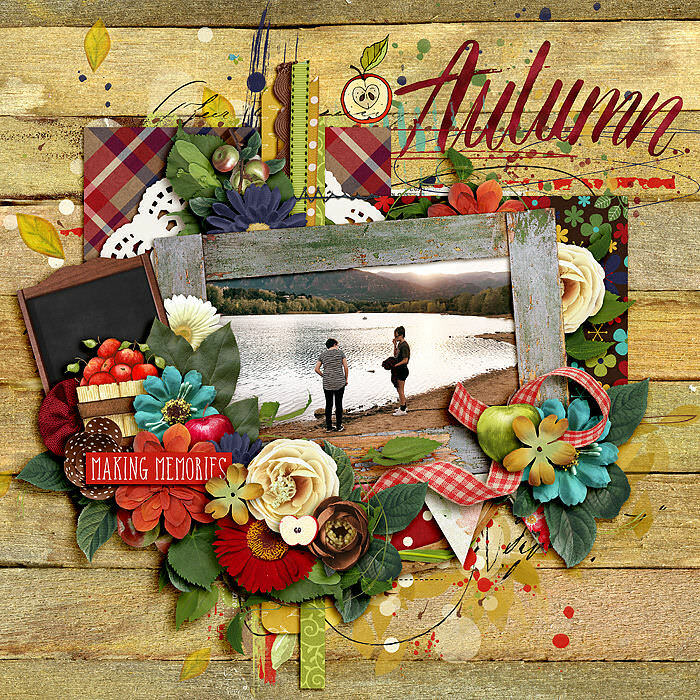 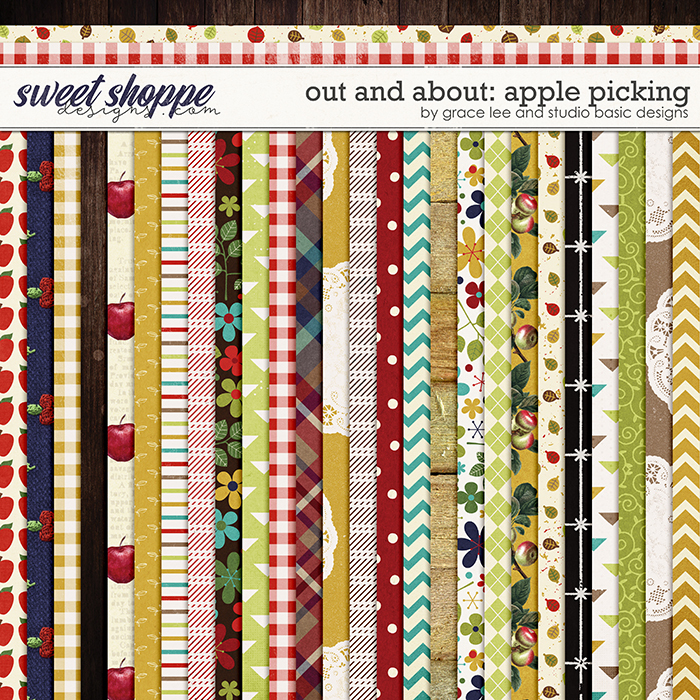 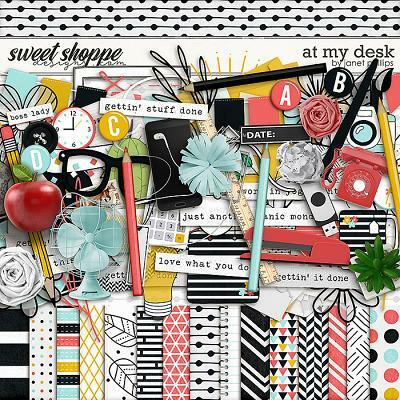 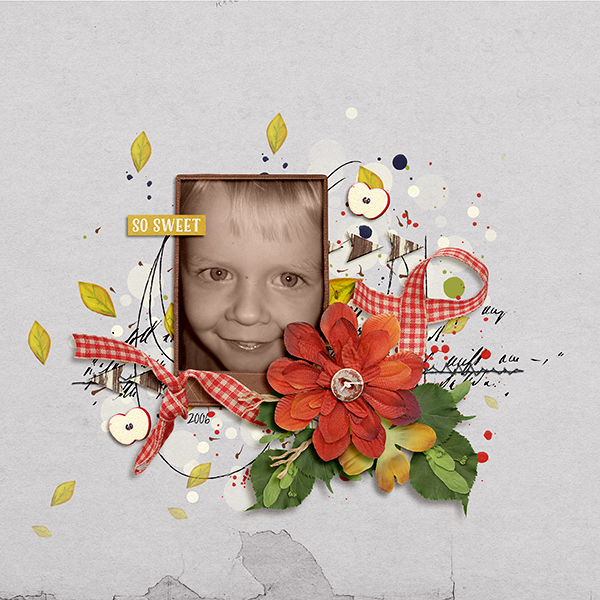 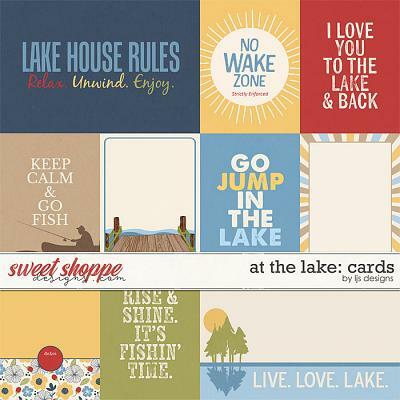 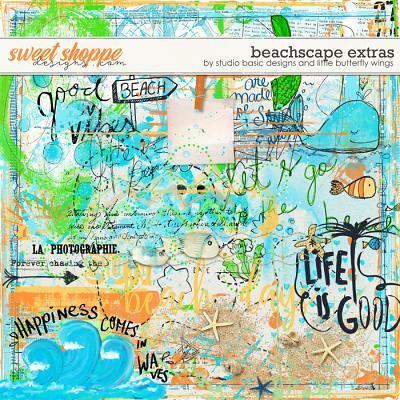 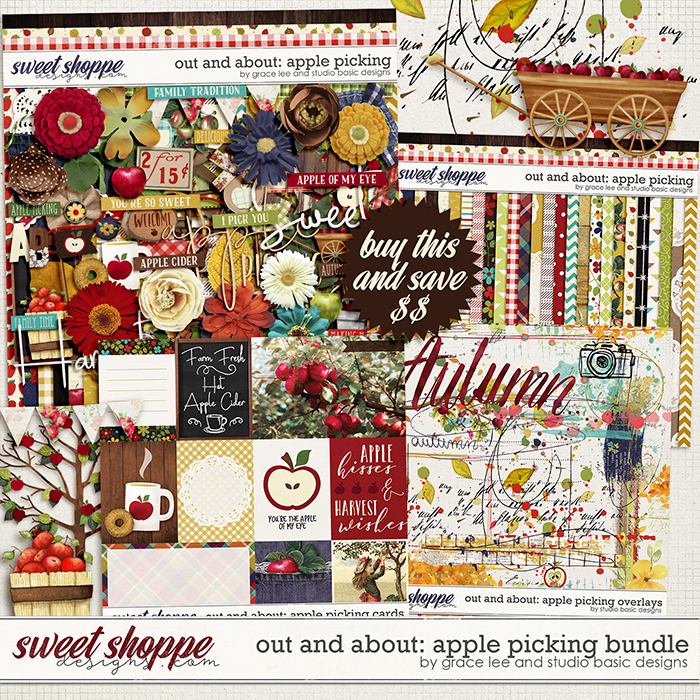 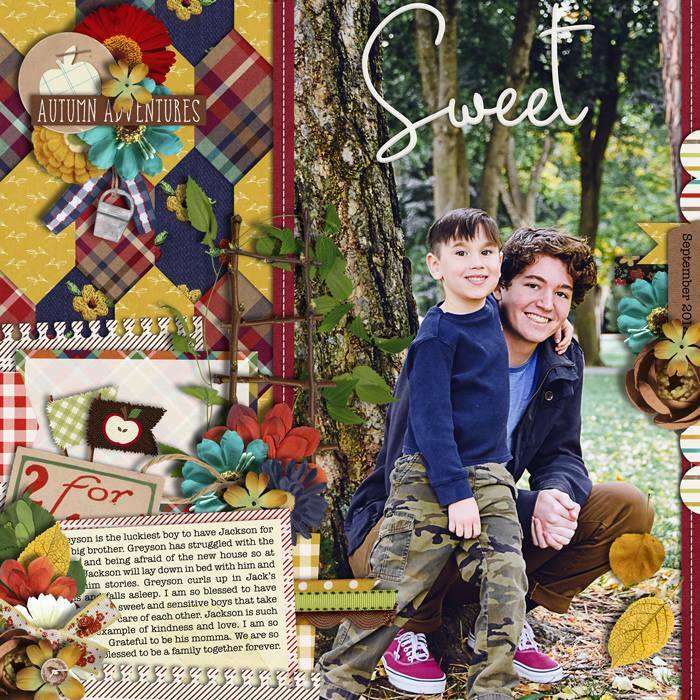 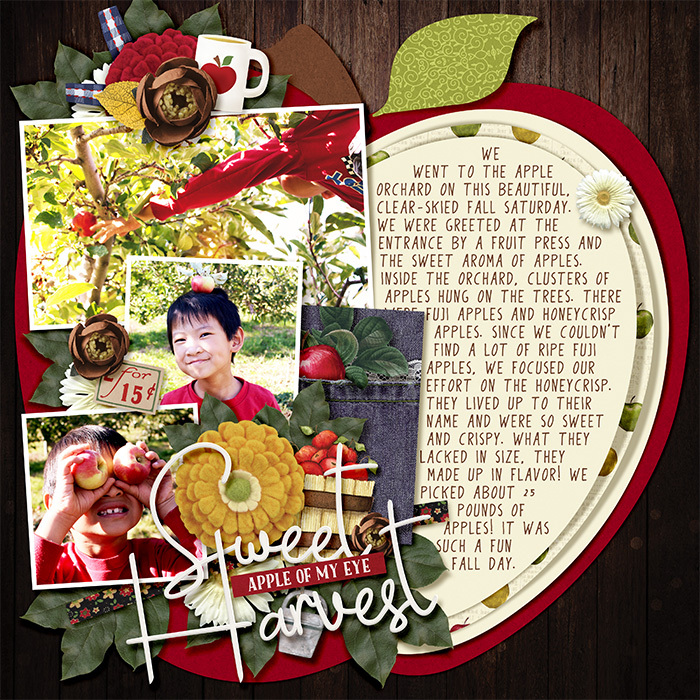 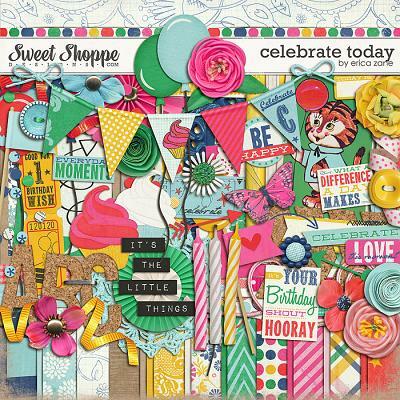 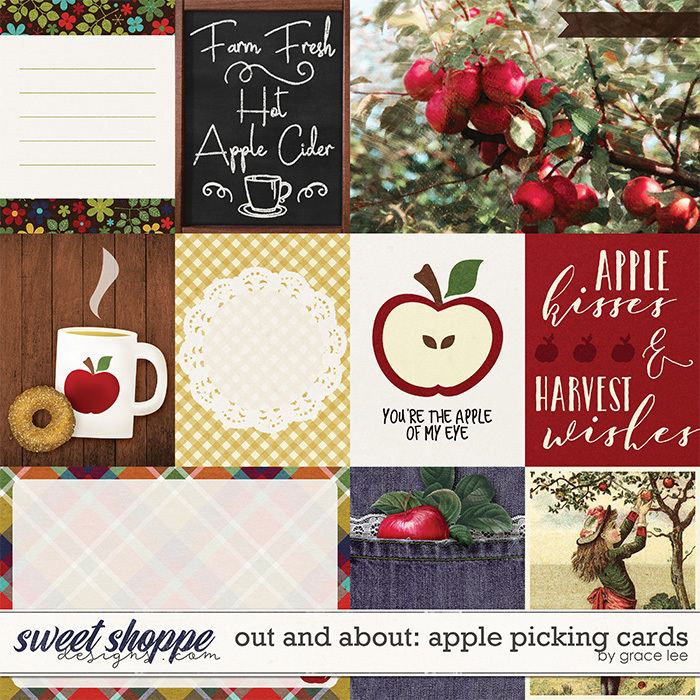 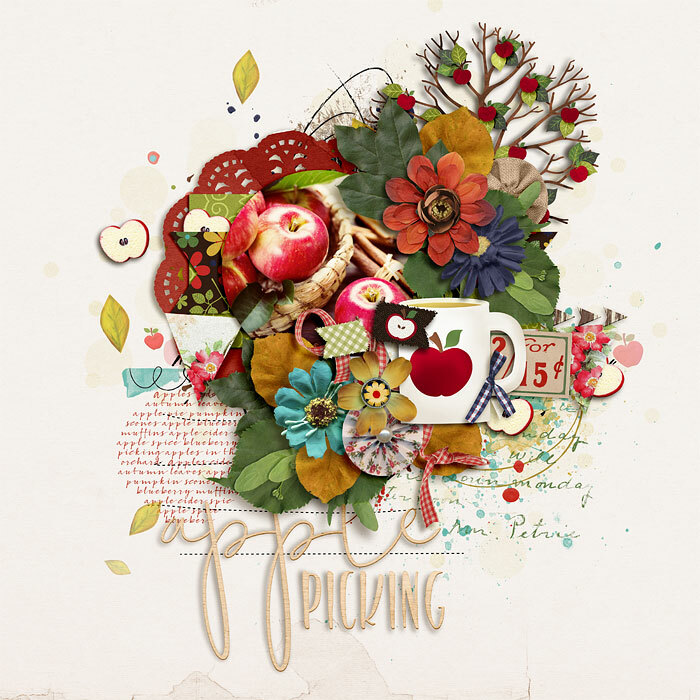 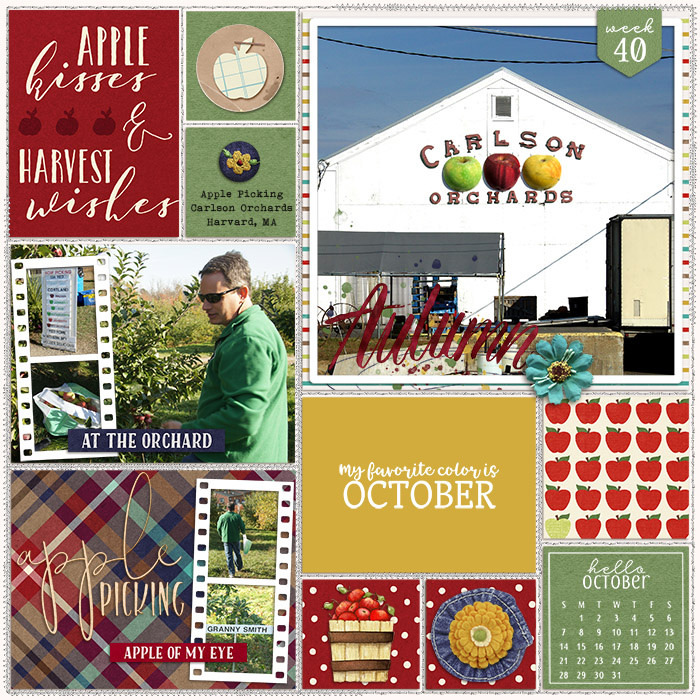 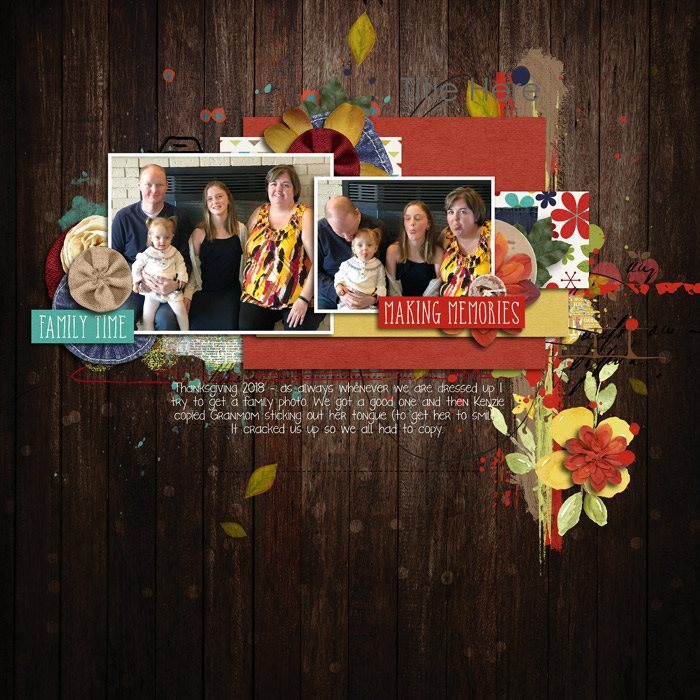 A digital scrapbooking collection by Grace Lee and Studio Basic, Out and About: Apple Picking is perfect for family time at the apple orchard or the pumpkin patch. 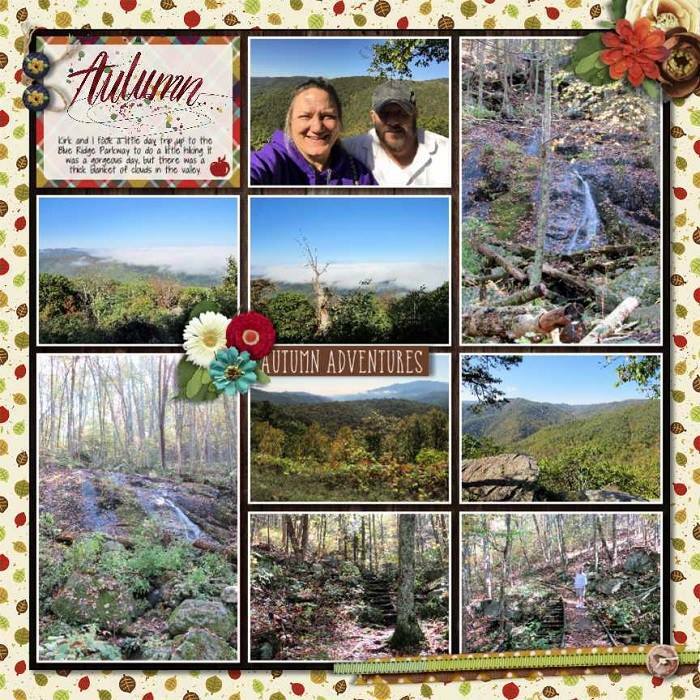 The weather is cool and the leaves are turning. 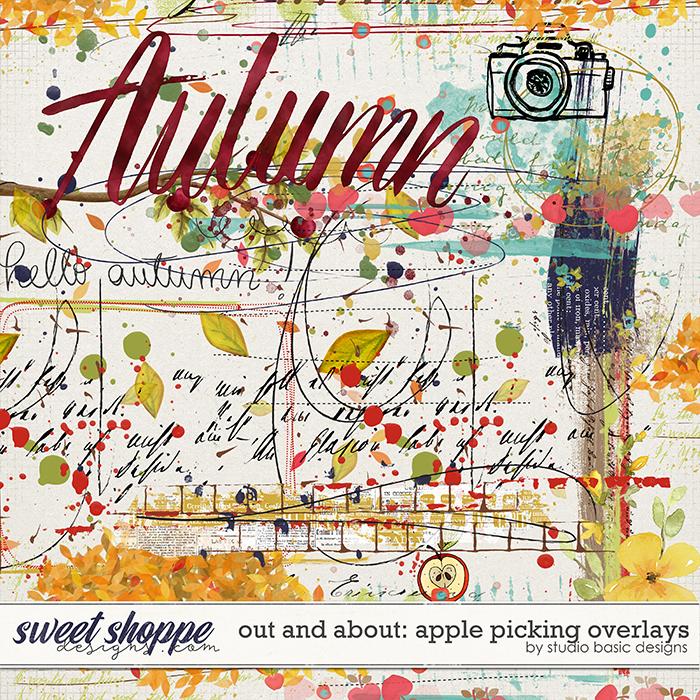 These warm, rich autumn colors will make documenting your fall fun easy as apple pie! 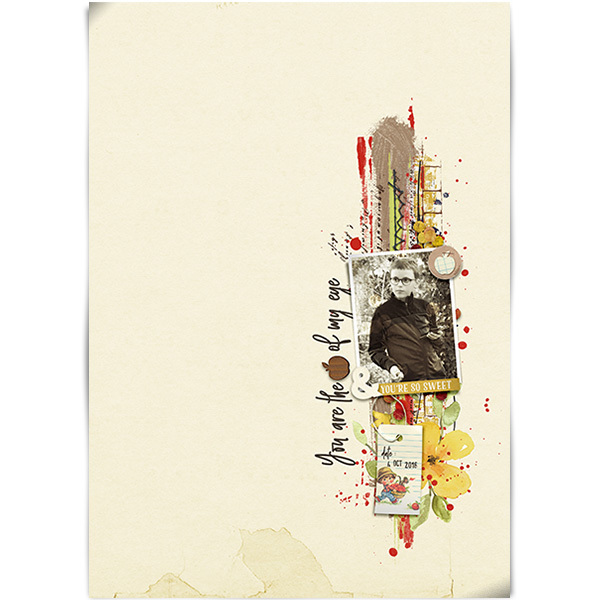 and 10 paint and image overlays.